Basement: Yes, Full "Finished Walkout"
2700+ Square Feet on the Water!! 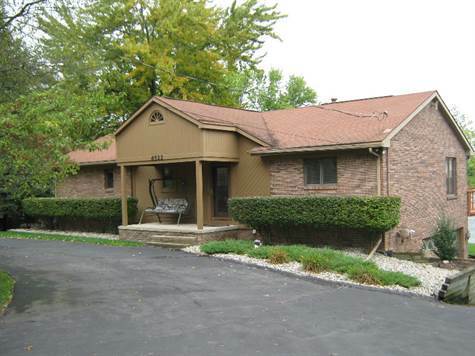 1988 Brick ranch on Pleasant lake with 106 feet of lake frontage! Hardwood floors, recessed lighting, 800 Square foot deck! Wired for sound, 2 sky lights, Anderson windows and door walls, custom built energy efficient home, 3 FIREPLACES, 2 Jetted tubs, walk in closets, community beach and park, dbl lot, sqft incl ll. For 24-Hour Pre-Recorded Information Call 800-425-5082 X. 1362.